Adjective: auxiliary - providing supplementary or additional help and support. Okay, we all get that. But what does it have to do with my speed controller? When the Castle Phoenix Edge line was introduced for heli and plane applications, we announced the addition of the user programmable auxiliary wire. 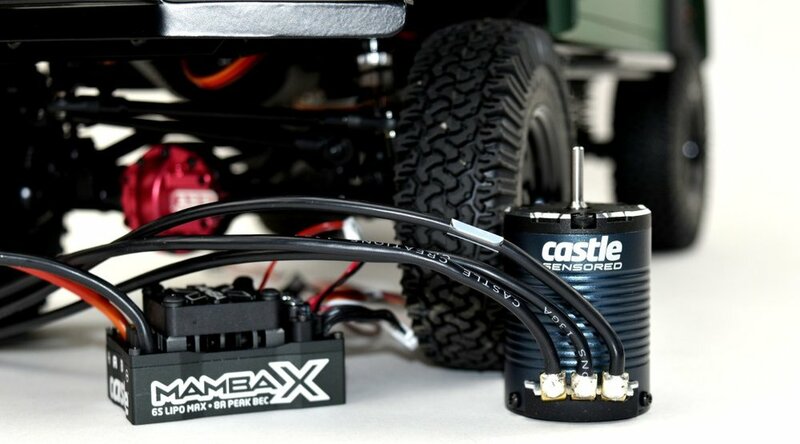 Our car enthusiasts will now have a taste of the simplicity and convenience if this feature with the Mamba X Series Electronic Speed Controllers (ESC). In short, the auxiliary wire is an extra white wire, that when connected to an open channel on your radio, allows users to take advantage of on-the-fly adjustments (using your transmitter) that would otherwise be modified or set using the Castle Link Programming Suite. The feature is enabled through the Castle Link Programming system and one mode may be selected at a time. Let’s take a look at the available options, we are certain you’ll find a favorite or two. Max Throttle Adjustment The ESC’s maximum power is scaled from 10% to 100% depending on the signal received on the AUX wire. Perfect for passing the controls to children, neighbors or your boss. Max Reverse Adjustment The ESC’s maximum reverse power is scaled from 10% to 100% depending on the signal received on the AUX wire. Max Brake Adjustment The ESC’s maximum braking power is scaled from 10% to 100% depending on the signal received on the AUX wire. Drag Brake Adjustment The ESC’s drag brake setting is scaled from 0% to full brake depending on the signal received on the AUX wire. Reverse Enable/Disable (Only works in modes with reverse) Reversing is disabled when the controller receives an AUX wire signal above 50% (>1.5ms). When the controller receives an AUX wire signal below 50% (<1.5ms) or if the AUX wire is disconnected, reverse capability is enabled. Datalog Erase Enable When the vehicle is stopped, toggling the AUX signal for a few seconds will erase the datalog. The motor will emit a long beep to indicate the log was erased. This feature can be added to any of the other AUX wire modes by checking the Idle Datalog Erase box in Castle Link. Gain Input (ESC must be in a governor mode) Connect the AUX line to an open channel on your receiver and use this mode to adjust the governor gain in real time. 0% TX signal equals a gain of 1 (min) – 100% TX signal equals a gain of 50 (max). Tech Tip: Once the gain has been tuned via the Tx its value can be displayed on the data logger. 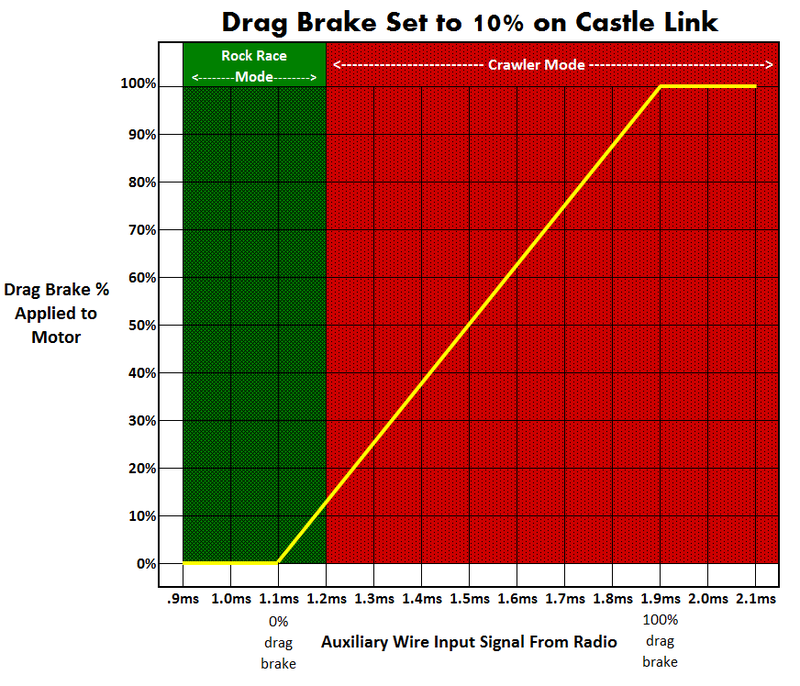 Permanently save that value in the Edge via Castle Link programming and use the Aux. wire for another feature! Audible Beacon Connect the AUX line to an open channel on your receiver and this mode will use the motor to emit an audible locator signal when the AUX line is above 50%. The beacon is only emitted if the motor is not running. RPM Out Connect the AUX wire to 3 axis gyros that support RPM sensors and the ESC will toggle the AUX line at every electrical commutation. Divide this number by your number of magnetic pole pairs for mechanical RPM. Arm Lock Key – requires ARM LOCK HARNESS When the ARM LOCK key is in the socket, the controller will be incapable of arming. Once removed, the ESC will arm when it receives the low throttle command on the traditional throttle line. RX Arm Lock The controller won’t arm or run when the auxiliary channel is below 50% throttle. Tech Tip: Loss of Aux wire signal during use reverts selected mode to default status. 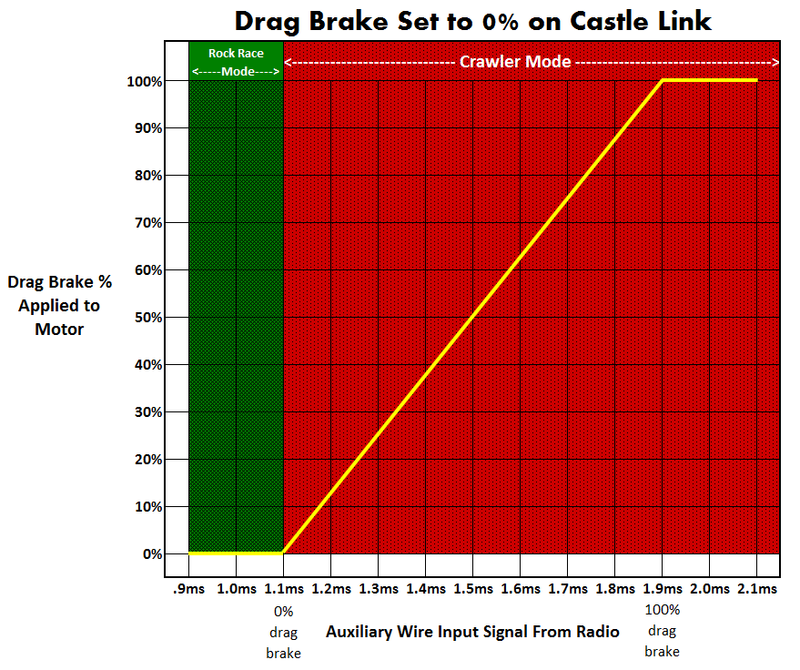 So there you have it, the quick and dirty on Castle AUX wire functionality. Its sheer purpose is to provide at-your-fingertips options and adjustments to give you great flexibility, versatility and most importantly, the competitive edge! If you are the owner of a Castle Talon 90 or Talon HV120 ESC then this Tech Tip / Installation Notice is for you. We have received reports of a small number ESCs failing in the field. After reviewing the failed units and their setups, we believe that we have found the cause. On certain applications, we have discovered that plugging the motor’s timing wires directly into the ESC can lead to a failure. One, the motor’s timing wires are inflexible and usually less than 3 inches in length. This makes it difficult to plug the motor’s male bullets into the ESCs female connectors. This can lead to damaging/bending the male connector, which in turn results in a loose and poor connection. As a result, this loose connection can potentially disconnect during use which can cause an immediate and catastrophic failure of the ESC. The second potential issue is due to vibrations. Because the motor’s timing wires are stiff they have no slack or relief. Due to the extreme nature of some setups, the vibrations and the motor’s movement from torque can stress the female bullet connectors installed on the board and lead to a failure. Castle highly recommends using 2 – 3 inches of appropriately sized silicone wire. 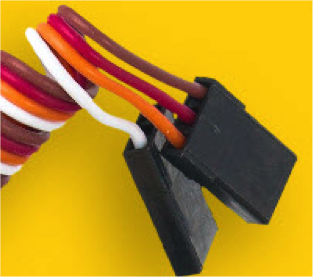 The silicone wire (like the battery wires on the ESC) is quite flexible and provides some strain relief to the bullet connectors. Below are two images from Helifreak user, "rotary guy" and a Talon 90 installed in a Goblin 500 helicopter. Note the extra lengths of wire between the connections and how this provides some post-installation flexibility, reducing the amount of "wire pulling" during flight while still maintaining a neat and tidy installation. Bug fix for firmware version 4.20. Some users experienced problems reengaging the throttle after the brake was turned on at zero throttle. This issue only occurred when the brake feature was utilized. Adjusted software to improve performance under heavy load. Talon 15, Talon 25 and Multi-Rotor 25 had their current limit setting removed due to inconsistent operation. The software has been adjusted to measure excessive current using other means. This latest version gives all ESCs access to features that were added to firmware version 4.20. Firmware version 4.20 for aircraft ESCs has been “broken arrowed”. This means that any ESC that is currently utilizing firmware 4.20 and is connected to the new version of Castle Link (3.57.12), the program will NOT allow you to change ESC settings and you MUST update the firmware to version 4.22. We also made some edits to the text of the "connection status" boxes to make it easier for users to determine whether their status is connected or disconnected. 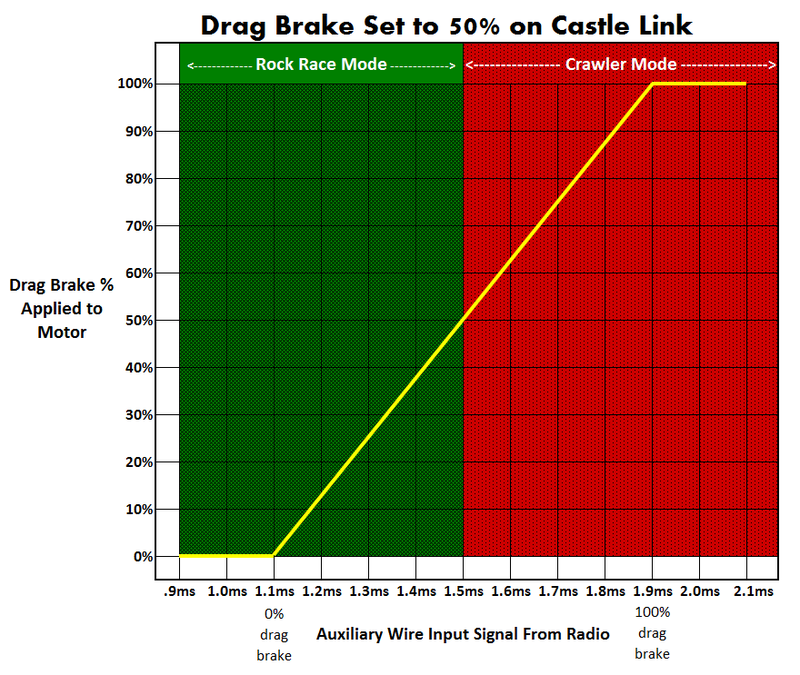 This was done to help red/green color blind users determine the connection status of the Castle Link and ESC. For more information, visit the Castle Link page from the Castle Creations website (click on the Downloads tab). And don't forget, our Tech Support page has a number of documents and FAQs to help you with the tuning and setup of your Castle Creations ESCs.